Gaia is ESA’s most ambitious stereoscopic astrometric mission to date. It aims to improve Hipparcos’ legacy by measuring positions and proper motions for 1 billion stars in our Galaxy (as opposed to Hipparcos’ approximately 130000 stars) by continuously scanning the sky for 5 years with its two 1.45 x 0.5m main telescopes. Complemented by blue and red photometric measurements and high resolution radial velocities for stars brighter than V=17 the final Gaia catalogue will be the largest and most precise 3-dimensional chart of our galaxy. 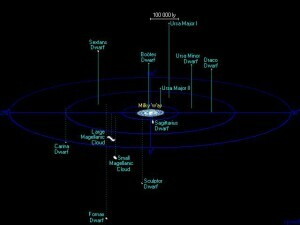 Not restricted to stars, the all-sky nature of the mission will see millions of quasars and a comprehensive survey of solar system objects added to the catalogue. The accuracy requirements of the mission present significant technological, calibration and software challenges. In this talk I will give a brief introduction to the mission, how those challenges are being met and the scientific rewards we hope to gain from this endeavour. 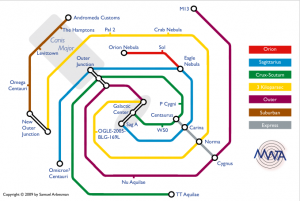 All so that we can more accurately find ourselves somewhere in the uncharted backwaters of the unfashionable west end of the Orion Spiral Arm?… To use the famous catch-phrase of a certain physicist: Amazing! To find us, go through to the back of the pub and we’re up the vastly smaller spiral of the restaurant staircase black helix. Just ask one of the friendly bar staff for NLUG if lost. We were treated to an absorbing evening of extremes for a project spanning over a decade in the making that will push the frontiers of science, engineering, measurement, data processing, and celestial mapping and astrometrics, boldly into as yet uncharted territories. All expertly presented in terms that even my 4 beers could understand! Especially impressive are the extremes to which all aspects of the project have been pushed so as to gather as much data as precisely and as quickly as is possible, and all with as near complete reliability as possible. Yet the basis for the measurements are exactly as was done in the early days of navigation with a sextant and a mariner’s keen steady eye. However, the ‘sextant’ in this case is an incredible 3.8-metre diameter optical bench of ultra-stable silicon-carbide, and the eye in this example has over 1 billion pixels interpolated to give a position accuracy of better than 1000-th of a single pixel! All thrown into the harsh environment of space so as to avoid the blurry fuzziness of the Earth’s dirty turbulent atmosphere. “Gaia’s measurements will be so accurate that, if it were on Earth, it could measure the thumbnails of a person on the Moon” (Gaia factsheet). The spacecraft’s five year mission is to loiter around the sun-earth L2 point to map about 1% of the Milky Way Galaxy, and anything and everything else that might be found. I particularly liked the processing strategy to model the sensor operation along with whatever expected defects to then compare the results with the raw measurement data to then iteratively better model the entire sensor operation and so calibrate out all the defects. Phew! A very neat work-around to work around the unknown! Also impressive are the requirements here on the ground for the databases and supercomputing data processing to do the number crunching to produce the final multi-billions entries catalogs. To use another famous catch-phrase: Fascinating! 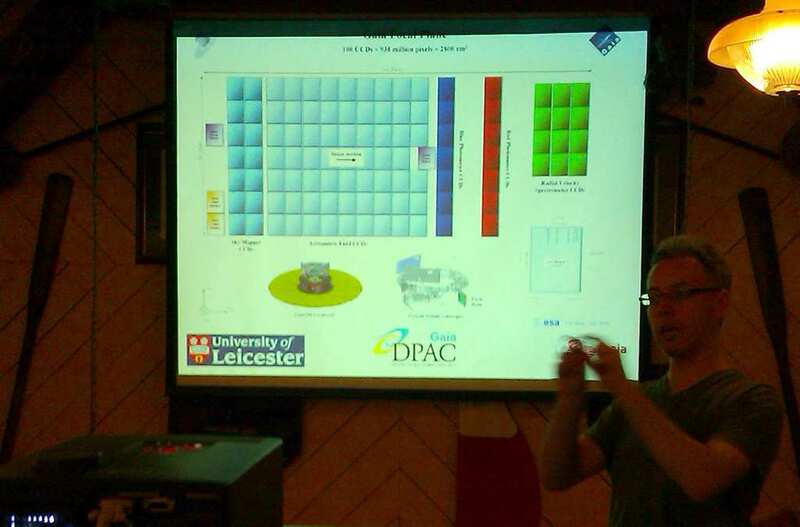 Many thanks to Dr D J Fyfe of Leicester University for giving an excellent talk. Assuming 250km/s, it takes approximately a mere 14 days. Hence, for taking parallax measurements from positions 6 months apart on the Earth’s orbit, there’s also a significant component that must be allowed for from our solar system’s galactic orbit for measuring other stars in our galaxy. 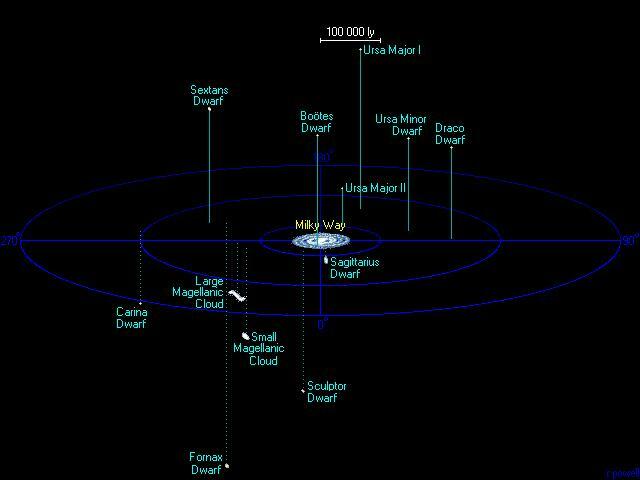 Note also that those other stars are themselves also following an orbit around our galaxy. … whereas Hubble’s premier instrument, the Wide Field Camera 3, incorporates just two e2v CCDs side by side, the sensor system the company has just completed includes 106 CCDs. There is a good summary given of the astronomical numbers involved there. Still impressive stuff. Hopefully it will all come together so that we can find where we are! Gaia’s remarkable sensitivity will lead also to the detection of many thousands of previously unseen objects, including new planets and asteroids. Separation from the Soyuz upper-stage was confirmed just before 10:00 GMT. The satellite is now travelling out to an observing station some 1.5 million km from the Earth on its nightside – a journey that will take about a month to complete. The billion pixels now flying in space is pretty impressive. Even more so for the data to be produced! OMG! 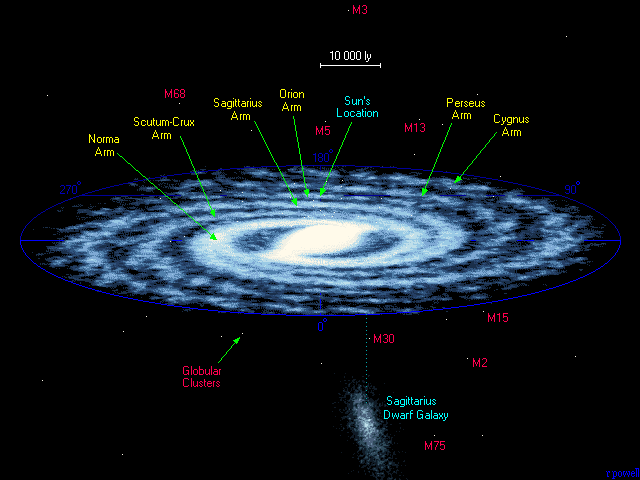 – It’s full of (Gaia) stars (data)! The UK’s involvement in Gaia and the data processing and outreach can be found on the website: Gaia in the UK – Taking the Galactic Census.